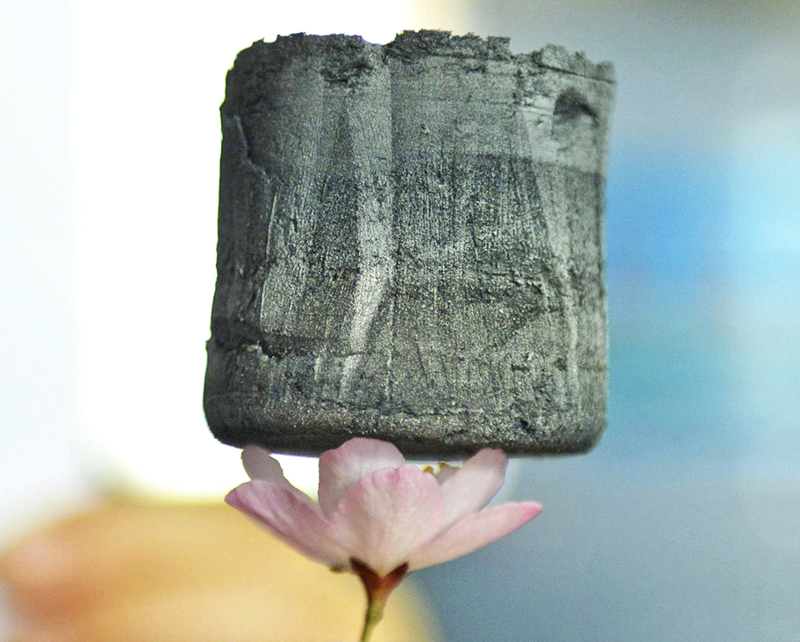 An aerogel so light, it can perch on top of a flower. 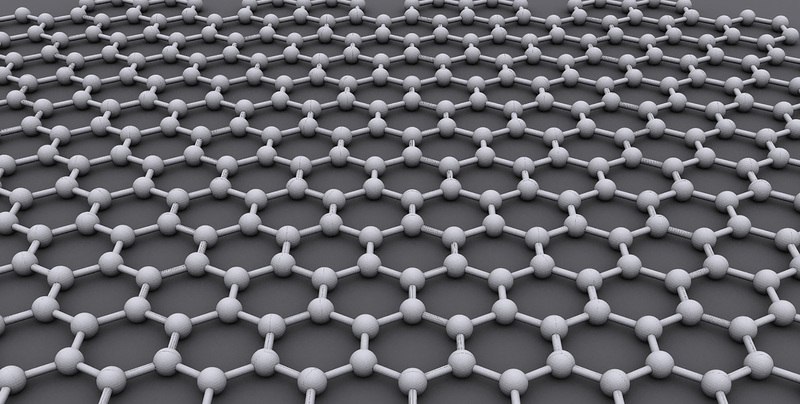 Graphene is a super-strong, ultra-lightweight material that's led to scores of technological innovations in recent years. It consists of bonded carbon atoms formed into sheets that measure just one atom thick. The material's strength to weight ratio makes it ideal for all sorts of applications ranging from desalination filters that produce clean drinking water to batteries that charge up in seconds, and even next-gen LED bulbs. Graphene is even being used to make solar cells produce electricity in the rain, leading us to believe the most amazing graphene-based gadgets have yet to come. Around the world, there's a major push for developing more efficient ways to turn saltwater into clean drinking water. Enter this atom-thick graphene filter, which Lockheed Martin found could reduce the amount of energy needed for the desalination process. The filtering material, dubbed Perforene, was originally patented for cleaning up oil spills. However, the company realized it could also serve other purposes. Because the filter is only one atom thick, saltwater flows through it without excess pressure -- and since the holes in the filter are just 100 nanometers in diameter, they're just large enough for water molecules to squeeze through, but too small to allow salt particles to pass. This results in a desalination filter that cuts energy usage by 20 percent, making it more environmentally friendly and better suited for use in regions where electricity is as scarce as clean water. Today's rechargeable batteries tend to lose charge capacity over time. 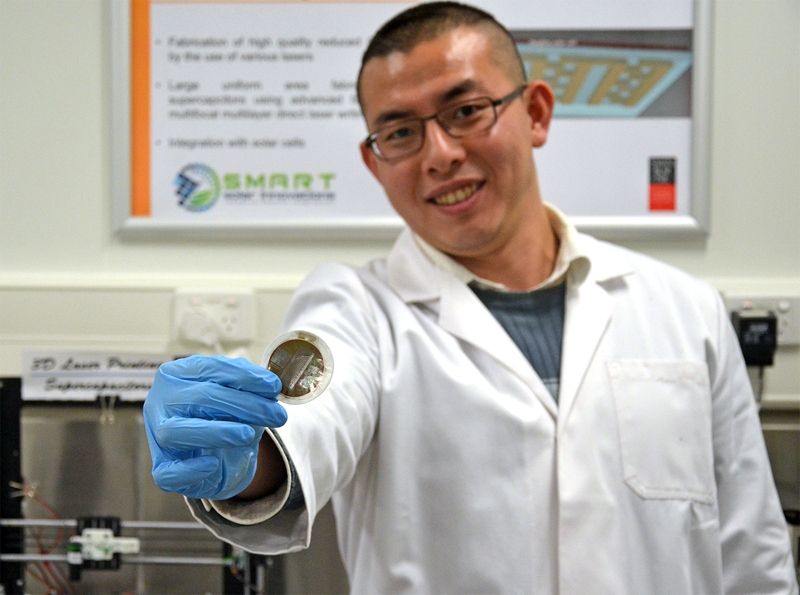 However, researcher Han Lin at Australia's Swinburne University created a battery with a graphene supercapacitor that can be used time and time again without any loss in performance -- and it charges up in mere seconds. Lin used a 3D printer to build sheets of graphene for his energy storage device, which could one day replace the lithium-based batteries in smartphones, tablets and even electric cars. Graphene gives this new battery a major edge, beating out traditional batteries in charging time, lifespan and also environmental impact. Scientists from Yunnan Normal University and the Ocean University of China used graphene to develop a novel solar panel that is able to generate electricity in the rain. 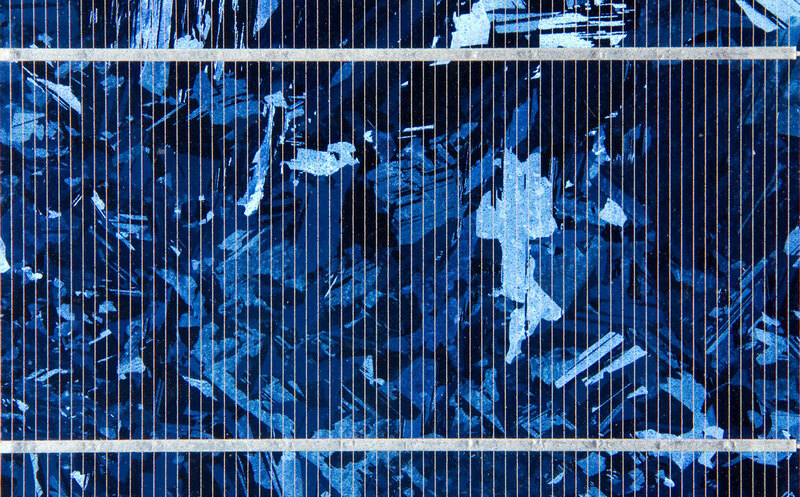 A layer of graphene over the top of the solar cells generates energy as it reacts with naturally occurring salts in rainwater. The solar cells have an efficiency rate of around 6.5 percent, which isn't much, but with improved efficiency, rain power could become a real thing in places where the weather isn't exactly ripe for traditional solar cells. The University of Manchester touts itself as the "Home of Graphene," because it was the first place to create graphene sheets back in 2004. 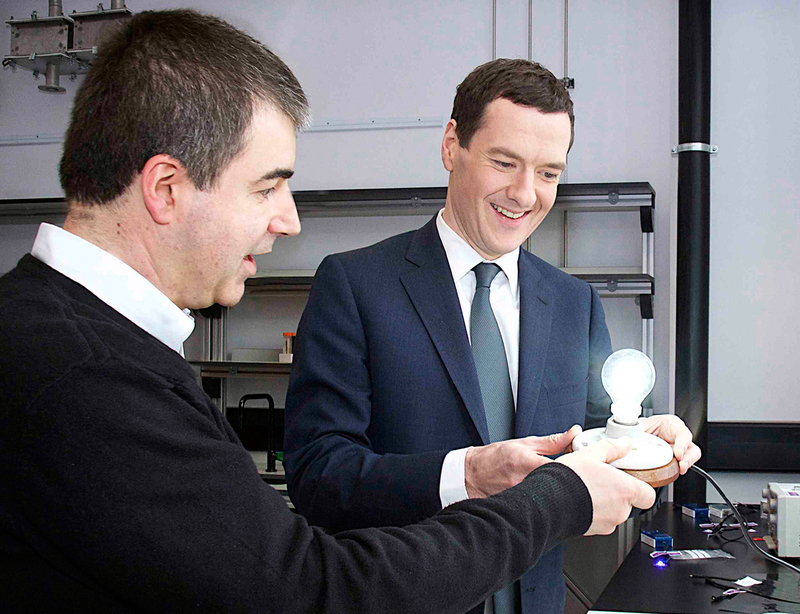 Fast-forward to 2015 and a research team at the university created a dimmable, filament-shaped LED coated in graphene that uses 10 percent less energy than existing LED bulbs. The newer, better, longer-lasting LED went on sale in the United Kingdom shortly after, selling at a lower price than many competing products. The graphene bulb also made history as the first commercially available product containing the now-famous carbon allotrope. Scientists are forever working to develop materials that are even more lightweight than ever, and in 2013, a team of Chinese researchers created a sponge-like material using graphene that earned the title of world's lightest material. 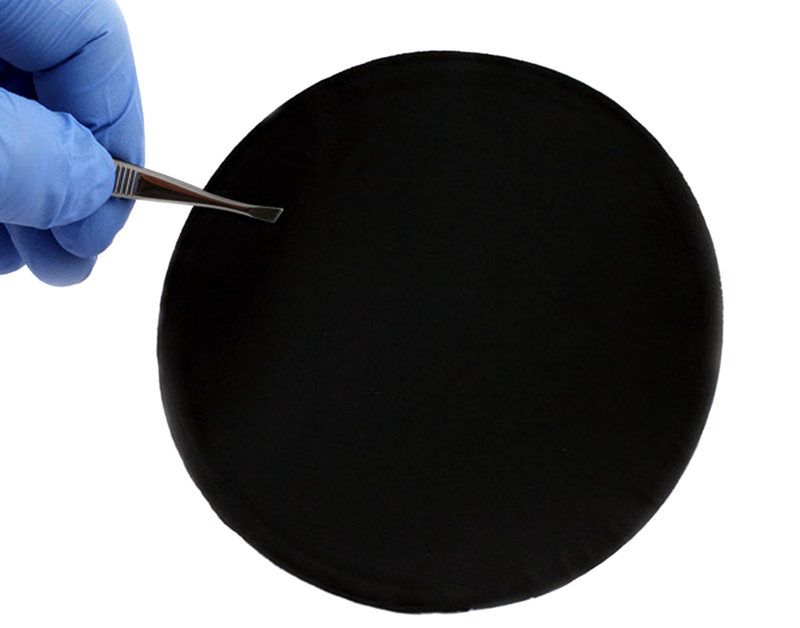 Fusing freeze-dried carbon with graphene oxide, the Zhejiang University team produced what they dubbed Graphene Aerogel, a spongy solid material that weighs just 0.16 milligrams per cubic centimeter. The carbon-based sponge is incredibly flexible and is also capable of absorbing oil by impressive quantities. The team reports that the sponge can soak up 900 times its own weight, which means it could be used in the future to clean up oil spills. Best of all, due to the sponge's flexibility, both the oil and the sponge could be recycled, making it a sustainable solution to a practical problem. Paper is notoriously fragile, especially in sheet form. It tears easily and even just a few drops of water can render it essentially useless for its intended purposes. Five years ago, a team of researchers at the University of Technology in Sydney developed a graphene-based paper than is 10 times stronger than steel. The durable nano paper, composed of processed and pressed graphite is flexible, 100 percent recyclable, conductive and durable and thin enough to be used in countless industries.